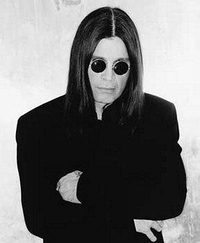 John Michael "Ozzy" Osbourne is the lead vocalist of the pioneering English heavy metal band Black Sabbath, a multi-platinum, award winning successful solo artist and the star of the reality show, The Osbournes. Considered by many to be the "Godfather of Heavy Metal," Ozzy has enjoyed a career that has now spanned four decades. GdL saggistica bimestre settembre-ottobre 2016. Scegli il saggio che vuoi leggere e commentare nel GdL. Is this you? Let us know. If not, help out and invite Ozzy to Goodreads.